Choosing a partner to assist you with your end of tenancy cleaning will save you a lot of troubles and worries. If you use our professional cleaning agency, you will be carefree because we are a reliable partner. The type of collaborator that everyone wants to have in his life. We are reputable, motivated, super organized and friendly and our most precious quality definitely is the handy experience and rich knowledge. CleanersHendon are vastly advertised in London and the near regions as the best cleaning provider. That is declared by our numerous satisfied clients from the city after they’ve tried our procedures more than once. When it comes to the end of tenancy cleaning there are a couple of stuff you should consider. The sanitation of your rental property can’t be rushed through because all landlords can be particularly uncompromising when the cleaning of their house or apartment is in question. As you’ve discussed, the landlord will expect from you to perform the perfect domestic cleaning before leaving and if there is even the slightest problem, he might refuse to give your security deposit back. Reserving our profitable cleaning services is not only a necessity but also an important investment into your future. See our great prices. This will secure the returning of your deposit, will preserve the good and friendly relations with your landlords in case you need to collaborate with him again and will give you a taste of what real cleaning looks like. 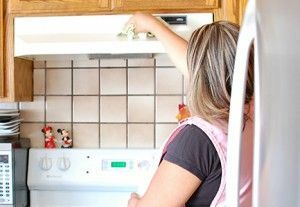 When you see the results of our end of tenancy cleaning, you will already know which agency to call in case of another sanitizing need. Don’t forget that our company is there for you regardless of the circumstances, so don’t hesitate to contact us.